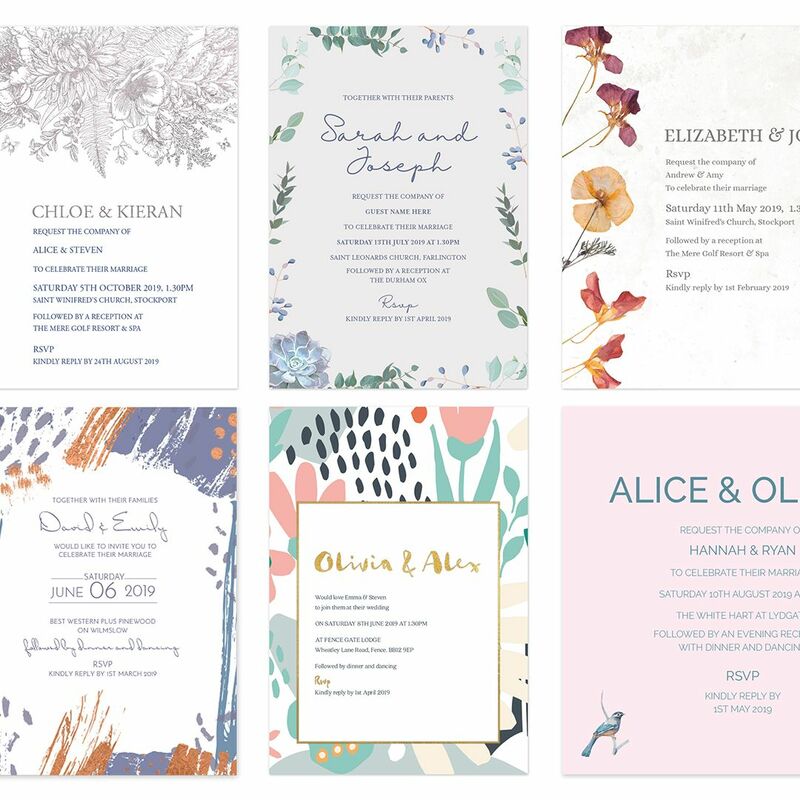 You may have spotted these brand new designs at The National Wedding Show, keep your eyes peeled for them landing on our website soon! If you have spotted a new design that ticks all the boxes, don’t worry!, you don’t have to wait- simply drop us an email to tell us which design you want and we can get the ball rolling. Delicate details stand out in foil on our Beautiful Butterfly design. Foliage details are complemented by a soft script font in our new Botanical design. Pressed flowers on a rustic background set the tone for our Spring Blossom design. A modern and contemporary design complemented with splashes of foil detailing. Bold and bright, our new Summertime collection offers abstract shapes and a hint of foil. A clean typeface is contrasted with a bright ‘Love Birds’ pattern for this new design.